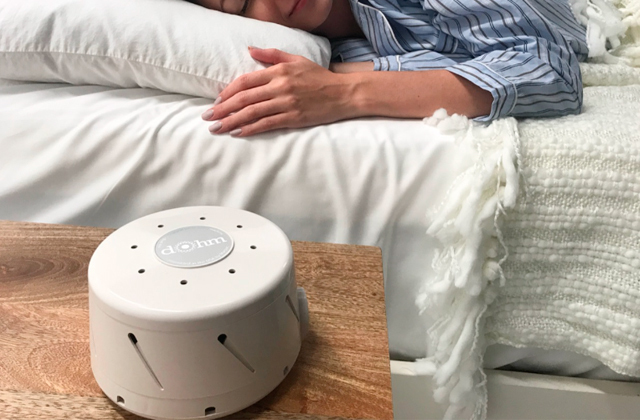 Designed with a user comfort and convenience in mind, this compact unit features a patented alert technology for deep sleepers. A free mobile app will be a great benefit to get a helpful customer support. Might be sensitive to sweat. Owing to revolutionary silicone sensor suitable for boys and girls of all ages, this first-class bedwetting alarm delivers the best results without causing any discomfort to your kid. 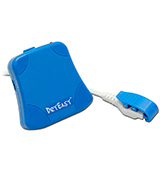 Meanwhile, a number of sound signal and vibration combinations ensure a versatile and efficient bedwetting treatment. 2-step turn-off system guarantees that your kid will wake up in time to go to the toilet before he'll turn the alarm off. Alkaline batteries are included so you can start using the device once you unpack it. Makes unpleasant sound on the loudest volume setting. 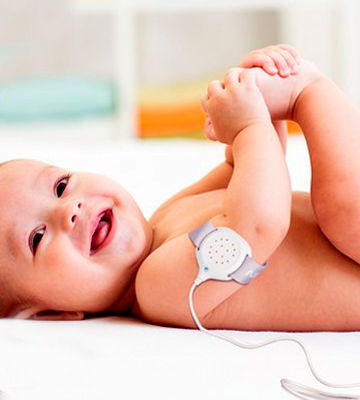 Precise and sensitive DryEasy alarm reacts to the first drop of urine waking up your little one as soon as possible. 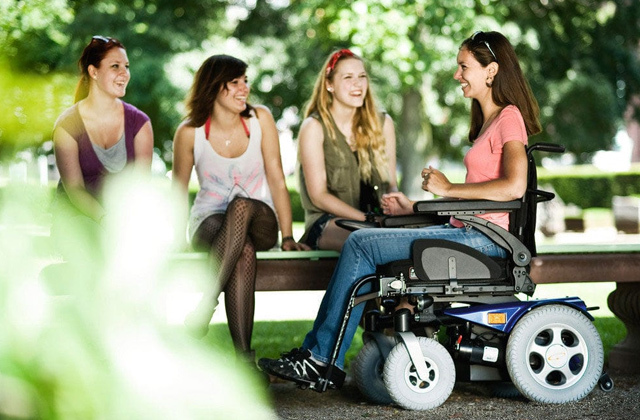 The ability to adjust sound, vibration, and volume allows you to find the best combination to fit your child's needs. Besides a sensor and alarm, you'll get a reward chart with stickers in the box that allow your kid to turn bedwetting treatment into a fun game and overcome it as soon as possible. Long cord might be inconvenient to wear under pyjamas. In addition to all the functions you expect a good bedwetting alarm to posses, this model from PottyMD is available in three colours so you'll definitely be able to choose the one that will come to your child's liking. The device can be powered by AAA batteries or a rechargeable battery. A special indicator tells you when the battery is low and needs to be recharged. Transmitter should be attached to pants only. 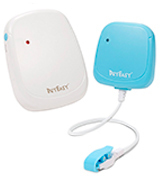 Easy to connect and use, this wireless bedwetting alarm from DryEasy will rid your kid from the inconvenience of corded models. And 6 sounds and a random mode will help choose the best option to wake your kid up. The alarm of this model is an adjustable armband that can fit an arm of a toddler as well as a 6-year-old kid. Plastic fastener keeps an elastic band in one place without causing any pressure. Vibration and sound can't be set separately. The operation mode of the TEQIN HOM125 is the combination of sound, vibration, and light that can wake up even the deepest sleepers. The 6-in-1 kit from this manufacturer is also available. Chummie Premium bedwetting alarm is an invention of Theos Medical Systems, USA. Based on its huge experience, the manufacturer created an outstanding device with an unmatched sensor. At first sight, it is an ordinary bedwetting alarm with a corded sensor. But if you get into details, you'll see the difference. 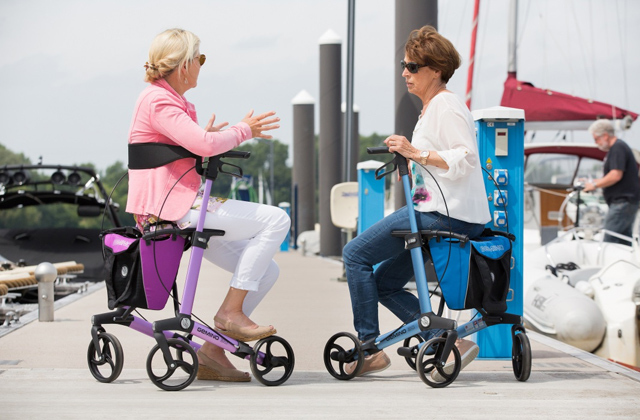 This model offers 3 various waking options including light, sound, and vibration. And a combination of all three options will awake even the deepest sleepers. Notably, a sound signal has 8 tones preventing a child from getting used to a single tone. Once your child wakes up sooner and sooner, you can switch off the sound and set up only a vibration mode in order not to interfere a sound sleep of other family members. Another valuable bonus to this bedwetting alarm set is a special calendar for a child and parents to follow the progress and mark dry nights. On top of that, you'll have a chance to get a troubleshooting help and online support by means of a free bedwetting mobile app. Pick your Chummie and help your little one control urination for less dirty bedding and more dry nights ahead! A quick wake-up is crucial for nocturnal enuresis treatment and prevention. Chummie Premium is the best night assistant for your child to cope with peeing in the bed and achieve complete dryness. Owing to an unparalleled one-drop sensing technology, a patented innovational sensor will immediately detect moisture and alert your sweetie with a loud sound, bright lights, and intensive vibrations in a matter of seconds. 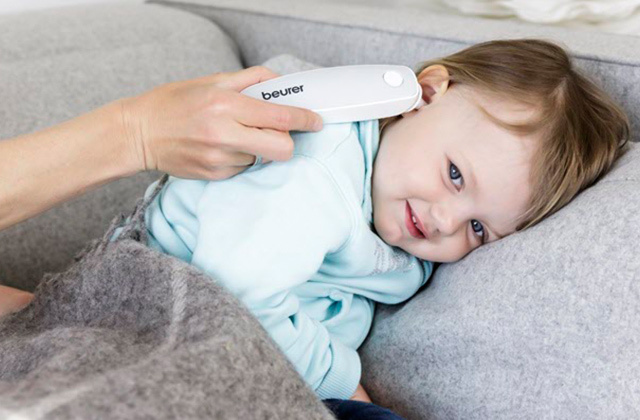 A silicone sensor with a large moisture detection area is flexible and comfy allowing your child to get a great night's sleep without missing a single bedwetting accident. A soft Flexitape instead of a clip will hold it securely in place to avoid skin irritations and grazes. Besides, the sensor is very easy to clean. Just wash it with clean water and let it dry. A nighttime protection underwear is another product tackling the problem of bedwetting. It comes with disposable inserts and will help your kid to feel confident and secure through the night until he or she can control a full bladder. The DryEasy night alarm for bedwetting is a compact and easy-to-use device that will help your kid overcome this trouble fast and effectively. 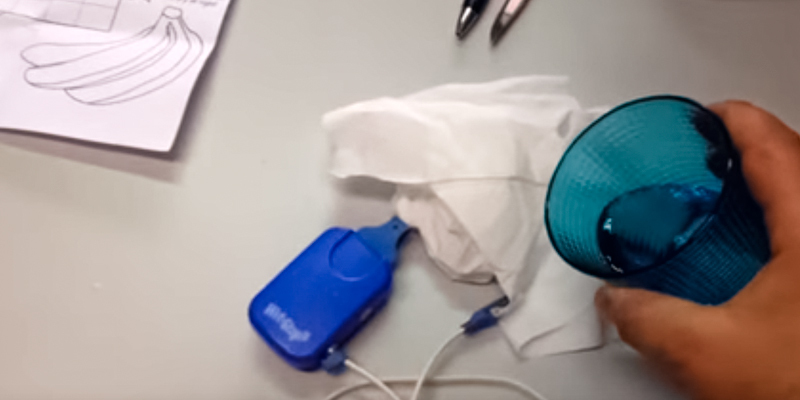 The DryEasy alert reacts to the first drop of urine and informs your kid that it’s time to go to the toilet. Just like the majority of high-quality alarms, this model can work in three operation modes – sound and vibration, sound only, and vibration only – so you can select the one that will suit your little one best. 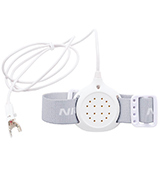 The manufacturer has equipped the device with 6 different sounds to prevent your kid from auditory accommodation. You can choose either one of 6 preset sounds that your little one prefers best or a random option so that he doesn’t get used to the same sound. Volume is also adjustable and it’s possible to choose one of 4 volume levels. Please note that mode and volume controls are located inside the battery compartment to prevent accidental switching. 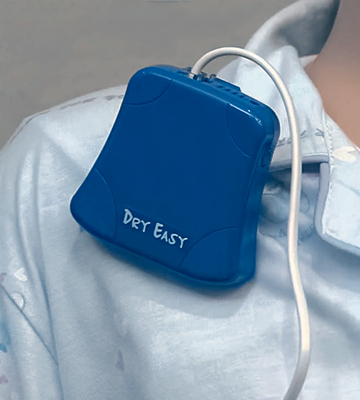 In addition to fast enuresis detection and effective wake-up call, the DryEasy model will please you with its package. 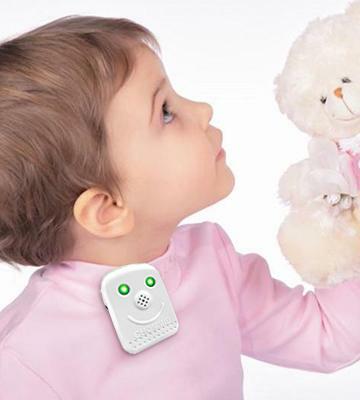 By choosing this device, you get not only a moisture sensor and an alarm unit but also 2 AAA batteries needed for alarm unit operation, instructional manual, and a progress card with incentive stickers that will encourage your little one to overcome a bedwetting issue as fast as possible in a fun way. 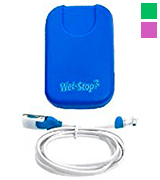 If you’re looking for a bedwetting alarm for boys and girls to overcome the problem of uncontrollable urination without medication, this Wet-Stop3 device from PottyMD is what you need. Depending on your child’s sleeping habits, you can choose one of three modes to wake him up at night. Sound, sound and vibration, or LED light can be chosen as an alarm to inform your kid that urination has started. As for sound alarms, there are 5 different options that can be changed from time to time if your child gets used to one sound and stops waking up when hearing it. We’d also like to point out that attachment and maintenance of the Wet-Stop3 device cause no troubles. 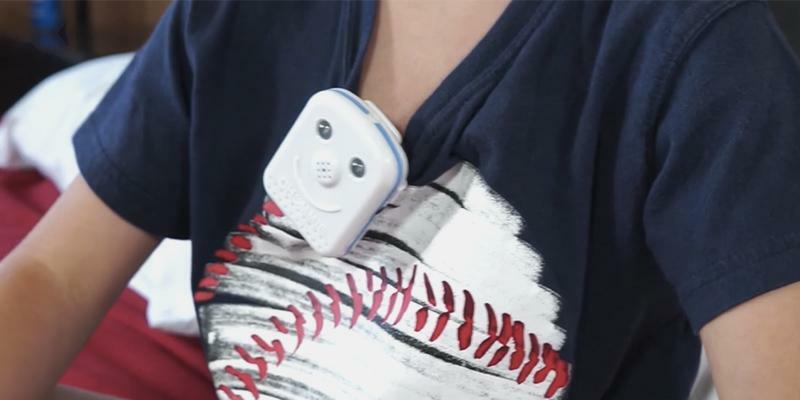 Your child can attach the device effortlessly thanks to the magnetic shirt fastener and clip-like sensor. By the way, the sensor is easy to dry and can be replaced if need be. One more thing we like about this device is that it comes with The Complete Bedwetting Book with a reward chart. Thanks to this very package, enuresis treatment won’t cause unpleasant feelings but will turn it into a game so your kid won’t notice how soon he fights the problem. Choose the Wet-Stop3 alarm in one of three colours and you’ll get an effective tool against bedwetting trouble at a reasonable price. The DryEasy wireless bedwetting alarm is a great choice for those individuals whose kids don’t feel comfortable wearing corded devices. However, because it goes on pants, kids who often roll in beds might not find them comfortable either, so make sure that you know your child's sleeping habits well. In general, the DryEasy wireless bedwetting alarm is a very good model that has received a lot of positive feedback from hundreds of happy consumers. It's proved to be very easy to use and extremely effective. To make it work, there’s no need for pairing – just turn it on and the transmitter and receiver will synchronize automatically. Similar to many other bedwetting alarms, this DryEasy alarm features three operation modes (sound only, vibration only, sound and vibration), 6 sound alarms (with the ability to choose one of them or random option), and volume control. Besides these standard functions, the device has a low battery indicator that tells you when it’s time to recharge the battery. By the way, the device can be charged with a battery or adaptor which makes its use even more convenient. What we liked about this moisture alarm, in particular, is that its receiver can operate with 16 transmitters at a time, so the DryEasy wireless model will come in helpful should you have several kids with a bedwetting problem. 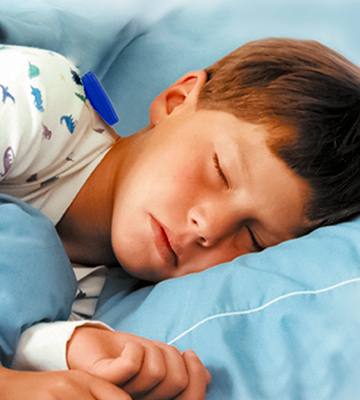 If your little one is a deep sleeper and nothing can wake him up at night, try the TEQIN enuresis alarm. The thing is that unlike the majority of bedwetting alarms out there, this model has only one operation mode which triggers sound, vibration, and light indicator all at once. 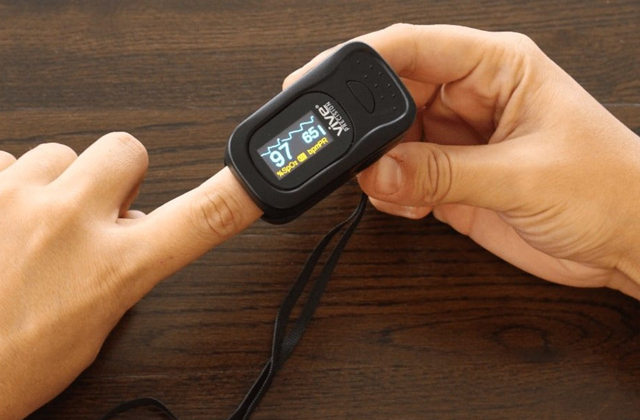 Although some people might want to get an alarm with more functions if you seek ease of use and want to see the results the TEQIN device is a good choice to consider. All you need to do to make it work is connect a sensor and an alarm and push ON button. In addition to such a minimum set of function, what differs the TEQIN enuresis alarm from many other corded models is its design. Well, it has the same parts – a sensor and an alarm – but it doesn't go on clothes, it goes on a child's arm. 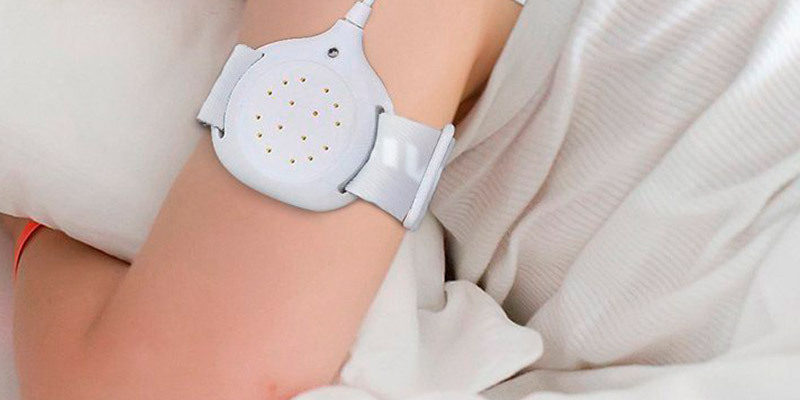 Made in the shape of an adjustable armband, the alarm will fit the youngest users who are being trained to a potty as well as older children who can’t cope with a bedwetting problem. 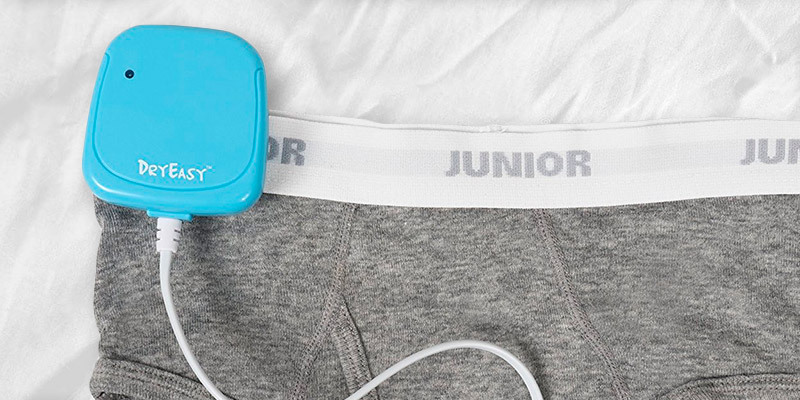 One more advantage of the TEQIN moisture alarm for bedwetting is its compactness that makes this device invisible under pyjamas so your kid doesn’t feel embarrassed while wearing it. All in all, made with children and parents in mind, this model from TEQIN will help your kid overcome enuresis effortlessly and return the joy of peaceful nights to you very soon. Many children wet their beds at night and do not wake up to go to the toilet. Most of them stop at the age of 4 or 5 years. In case your little one is older and still cannot stay dry all night, it is time to worry and speak to a doctor about bedwetting treatment. Bedwetting or enuresis is uncontrollable urination, especially at night. 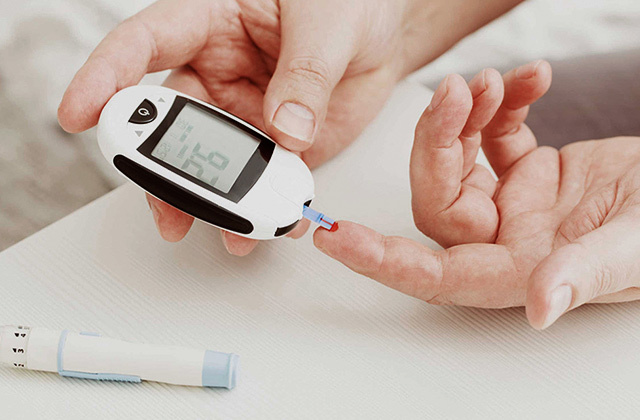 It might occur and become a persistent problem both for children, teenagers, and adults. Commonly, bedwetting might be caused by different urogenital infections, delayed bladder maturation, constipation, nervous system disorders, stresses, neurosis and other health problems. No matter if bedwetting is inherited or caused by some other factors or health issues it is important to find an efficient way to deal and cope with this embarrassing and stressful problem. A bedwetting alarm is one of the most effective tools that will help your child overcome enuresis. 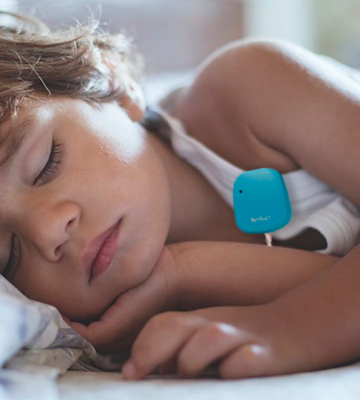 This small device consisting of a sensor and an alarm unit will wake up your little one at the very start of urination. Eventually, your kid will wake up before peeing and go to the toilet or hold urine until morning. 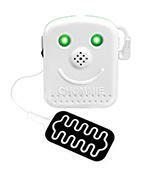 Below we've reviewed the best models of bedwetting alarms to facilitate your choice and help you get rid of this annoying issue as soon as possible. Parenthood might seem difficult and sometimes even scary, but modern manufacturers of baby stuff have created a lot of items for you to feel happy parents. Today, all modern mums and dads hardly can imagine their life without such an amazing and useful baby care product as diapers. They will save your time and efforts on washing and drying and let your baby feel comfy anytime and anywhere. Meanwhile, diaper pails are designed to help you dispose of the used diapers and absorb unpleasant smells. On the modern market, there is a whole array of bedwetting alarms. 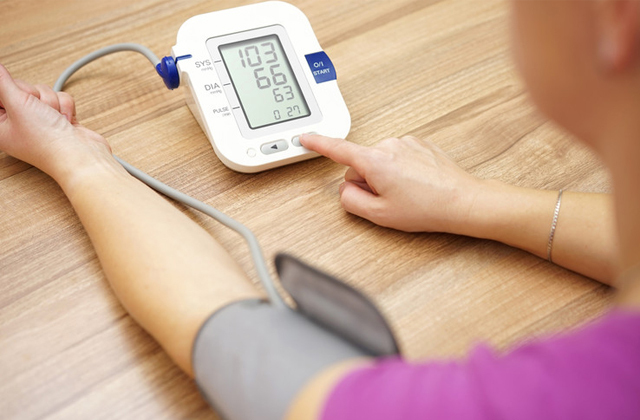 Basically, all models include a sensor and an alarm unit with only slight differences. Hence, choosing a bedwetting alarm for your sweetie, you should consider his or her sleeping behaviour and sleeping habits. As such, today you can find three major types of bedwetting alarms or moisture detection units. 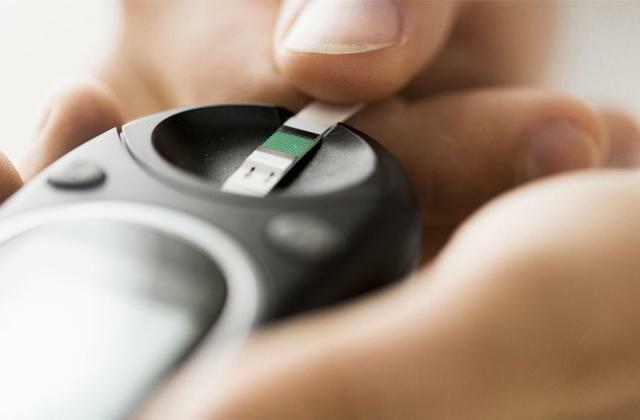 The first type is a sensor pad model when a PVC pad is placed underneath a sheet. But it is not the best option for children rolling out in their beds. 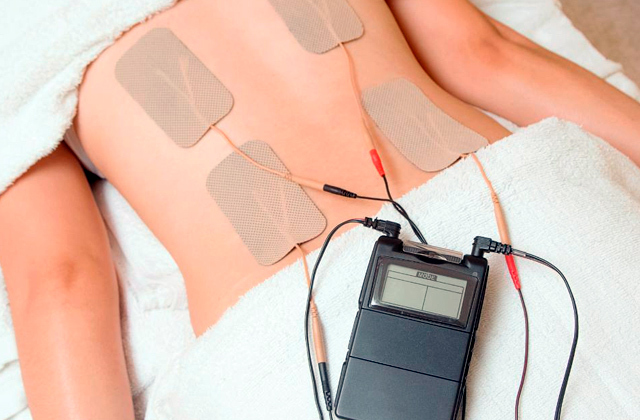 The second type is a wireless bedwetting system. In this case, a moisture sensor is attached to your kid's briefs or pants and transmitter is placed somewhere near the bed. The last type is a corded model where the sensor is connected to an alarm unit by a cord. 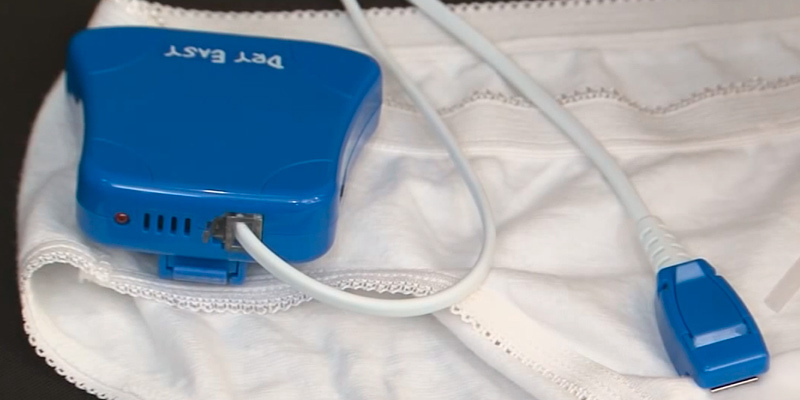 For this type, a sensor in pants or underwear triggers an alarm unit clipped to the top of child's pyjamas. Look out for lightweight and small bedwetting alarms with a long cord for a comfy sleep of your little one. All the three types are efficient and resultative, so, it is up to you to choose the one that will be the best for your kid. Having made up your mind about the type of bedwetting alarm, pay attention to different alert signals and their characteristics. 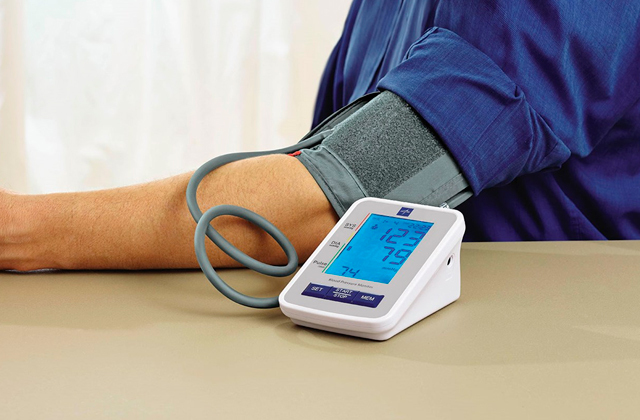 Some models have only sound signals or vibration while others offer different combinations of sound alert, vibration, and even light effects. A silent vibration is good for adolescents who can wake up and go to the toilet without parents' assistance. When a sound signal is still of importance, it's better to get a model with variable sounds to avoid your child getting accustomed to it. 1. 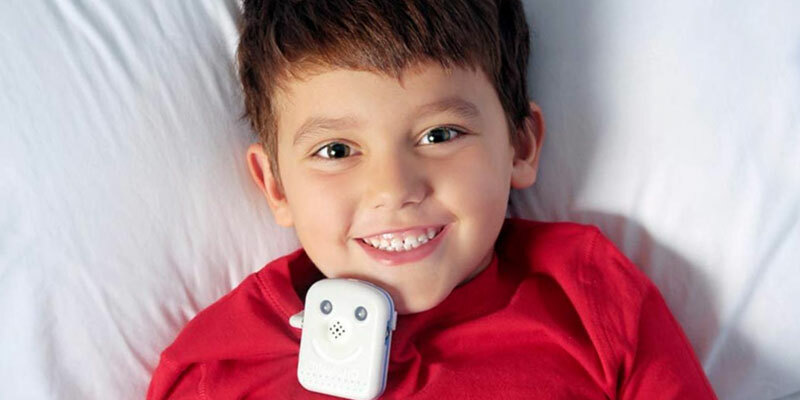 Directions for Your Child When Using a Bed-Wetting Alarm, National Kidney Foundation. 2. How to Help Your Child Stop Wetting the Bed, Health Essentials. May 5, 2014. 3. Features Of The Bedwetting Alarms, MomJunction. 4. Bedwetting alarm, Wikipedia. October 24, 2016. 5. Bedwetting Alarms, Dr Greene. August 8, 2015. 6. Dina Roth Port 8 Best Solutions to Beat Bedwetting, Parents. 7. John Mersch Bedwetting, eMedicineHealth. October 26, 2016.